Lullaboo is a 100% Canadian owned and operated establishment, with the goal of providing top notch education and development to Canadian children. At Lullaboo we view children as competent, capable of complex thinking, curious, individuals who are rich in potential. We believe that all children have the right to quality care and education in a safe, healthy, and nurturing environment. Lullaboo’s environment facilitates learning opportunities while supporting social, emotional, cognitive and physical development of children. Our philosophy is based on child development principles, centering on the concept of interaction and exploration during play as a natural way of learning. As children interact with materials and their peers, they clarify and extend their understanding of the world. This also encourages children to become responsible, productive, problem solving individuals, capable of independence and self-regulation. Our teacher-supported environment engages children learning experiences and fosters healthy self-esteem in each child, providing a sense of belonging, well-being, and the ability to express themselves. Lullaboo believes that children deserve to be surrounded by knowledgeable and qualified educators. Adults, like children, deserve to have the opportunities to further their knowledge and expand on their career aspirations. Lullaboo promotes and supports each staff’s professional development. At Lullaboo we see families as experts who understand their children and must play an active role in their development. Ongoing communication and open dialogue is crucial for a child’s continuous learning. Lullaboo engages with families through an open door policy, daily reports and newsletters. Lullaboo Nursery and Childcare Center was founded in 2008 by Irini and Halim Mikhael. While looking for childcare for their first daughter, Irini, a Professional Engineer for a worldwide organization and her husband Halim, a Professional Accountant for a Blue Chip corporation, simply were not satisfied with the service and quality offered in child care. Determined to change this, Lullaboo built and opened its first center in Richmond Hill, Ontario, and was quickly at capacity. Professional service to families was the primary objective. Appreciating the effort that families have to endure to make life and work balance was crucial to the relationship with each family that Lullaboo served. In 2010, two new custom designed centers opened in Vaughan and Mississauga. In 2014, the original Richmond Hill center was expanded. 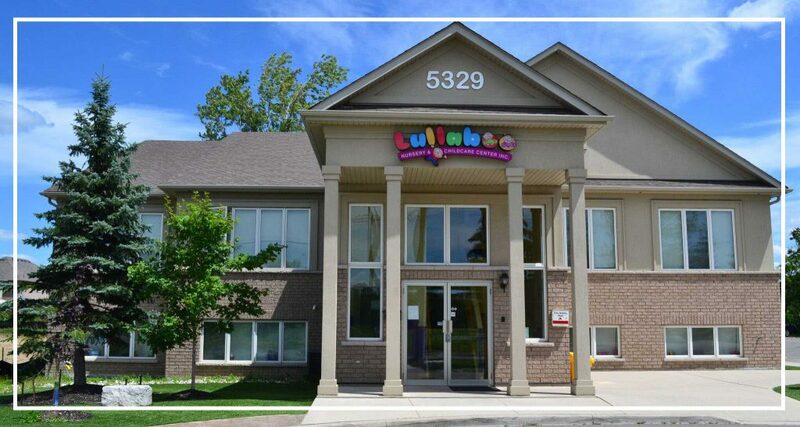 In 2015, Lullaboo’s first Brampton center was established. Plans for centers in Oakville, Markham and a second center in Brampton are well under way. Family is also an important part for Lullaboo’s Directors. Four children (at one point all under the age of six!) are the inspiration that keeps Lullaboo grounded. Experiences with each of their own children is the inspiration that drives them. 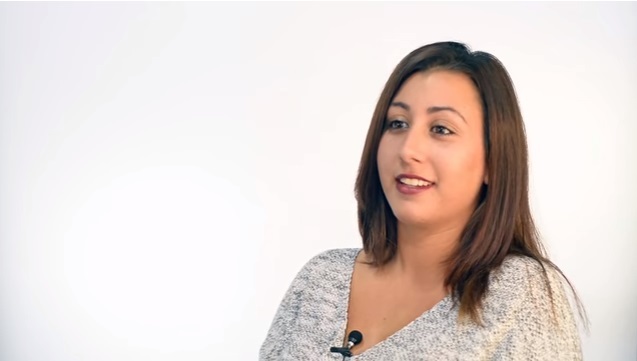 Irini and Halim continue to ensure Lullaboo’s accountability and professional level of service. They are commitment to be hands-on and involved in each classroom’s operations. Each staff is seen personally by one of the Directors, ensuring that they would be comfortable leaving one of their own children in their care. Meals are tested and tried at home before being introduced at Lullaboo. Classrooms are designed and maintained with meticulous oversight. If they haven’t already introduced themselves in the hallways, please feel free to stop either one of them to say hi. Please excuse them if their hands are full carrying their own kids at pick up or drop off times! 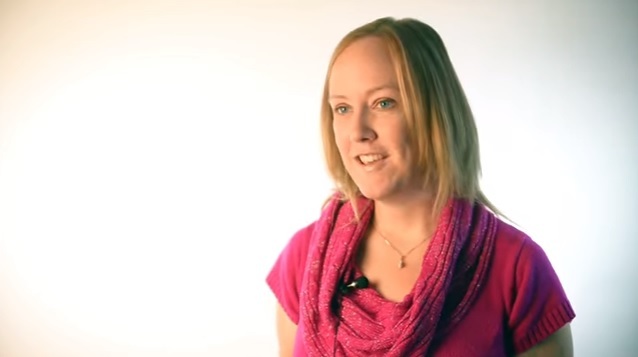 Hi, my name is Nikki and I am the supervisor at our Mississauga Campus. I have been working for Lullaboo Nursery and Childcare Center since 2010 and it has been an amazing journey growing within the company. I started in the classroom and worked with Preschoolers and Kindergartens which was an outstanding experience. I became an assistant supervisor and then was promoted to supervisor in 2013. To me, the best part of my job is coming into my Lullaboo and seeing happy children and staff who work at Lullaboo together to make the day a fun and comfortable environment. Outside of work I enjoy shopping, reading and traveling. Being a Supervisor isn’t easy but I promise to do my best to make my center a better place for all families and their children. Hi my name is Renee, I am an assistant teacher at our Maple Campus. I have been working for Lullaboo Nursery and Childcare Center since 2011 and have over 15 years of child care experience. Lullaboo has given me the opportunity to work with the infant age group and I have had an amazing experience over the years. Being an Infant teacher isn’t easy, having a lot of patients is key when helping them discover what is around them. Infants are precious; the love and bond that is created when you’re a teacher is the best part of it all. Parents want to know that their child are in good hands and that is what Lullaboo provides, love and comfort for all children. I take pride in making sure that the classroom is a loving environment. The best part of my job is waking up to see all the beautiful babies in my classroom, seeing them happy and full of love and affection. Outside of work I enjoy spending time with my three beautiful children, doing art and reading about history. Lullaboo is a great place to send your children. Hi my Name is Alyssa, I am an assistant teacher at our Maple Campus. I have been working for Lullaboo Nursery and Childcare Center since 2013. I graduated with a degree in Liberal Arts and currently studying towards my Bachelor of Education and ECE. Being a preschool teacher is very rewarding for me. Creating a dynamic classroom setting that evolves with the children’s interest is a challenge that I take on with great enthusiasm. Preschoolers are known for being excited about their individual accomplishments, the smiles on their faces when they succeed is the best part of my day. A side from work I enjoy traveling, spending time with family and friends, and participating in sports. Lullaboo is a Daycare that cares for their families, children and employees. All together we can make the best possible outcome for our children’s future. My husband and I consider ourselves blessed to have found a place like Lullaboo where we could leave our most precious possessions with comfort and reassurance. I'm not really sure where to begin because there are so many wonderful things to mention. The food is nutritious and cooked fresh every day and they have no problem giving my children second helpings which makes me feel good that they are not depriving them. This is the first daycare that my daughter has attended. It only took a couple days for her to totally adjust to spending her days here! It amazes me how much she learns on a daily basis, from her ABC's to new songs to even counting in French. The facility is always clean, staff is always friendly, and she is fed nutritious breakfasts, lunches, and snacks every day. What I love the most is receiving a daily report of her day in my inbox. It breaks down everything she ate (how well she ate), how long she napped, how many times she went potty, and her favourite activities of the day. It's like I never miss a beat.